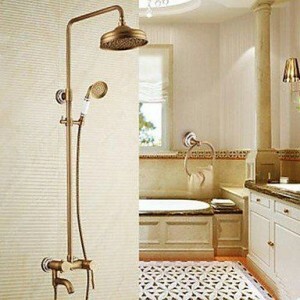 QIN-LINYULONGTOU 8 Inch Single Handle Antique Brass Tub Shower Faucet. Features: Handshower Included, Rain Shower. Overall Height: 1355mm (53.34 ). Showerhead Width: Diameter 203mm (8 ).